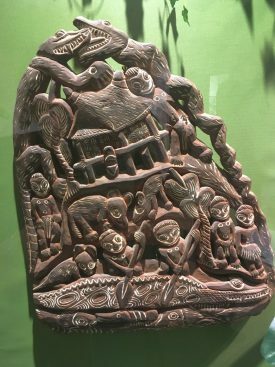 Share the post "Morris Museum Presents the Research and Collection of the Late Professor George E. B. Morren"
Professor George Morren with a family in New Guinea, during the late 1960s early 1970s, while he was doing his doctoral research on the Miyanmin people of New Guinea. 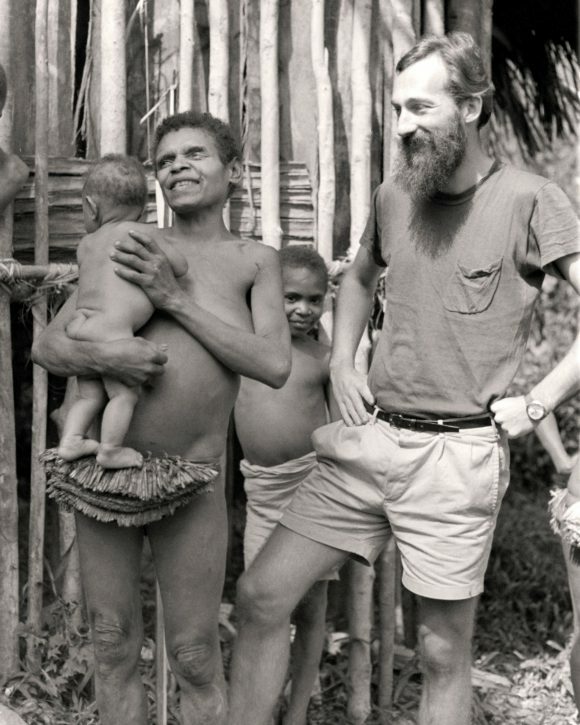 The Morris Museum is currently presenting an exhibition on the people of Northern Papua New Guinea from the research and collection of the late George E. B. Morren (1939-2011), pioneering anthropologist and one of the first faculty members hired by Rutgers to develop a program in Human Ecology. 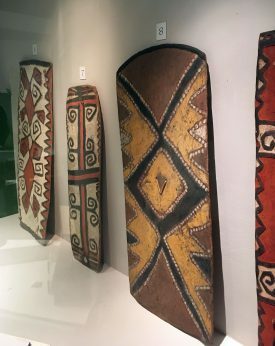 The exhibit is showcasing artifacts, natural specimens and information on Morren’s fieldwork. It will be on view through April 14, 2017. Northern Papua New Guinea is a land of dense rainforests, mountains and winding rivers and is home to numerous tribes. Morren conducted groundbreaking research that helped interpret this land and its people. Aside from Morren’s collection of artifacts and information on his work, the show is featuring exotic birds, plants and insects from the American Museum of Natural History. Morren received his undergraduate and graduate degrees from Columbia University. He taught at the Cook College—now referred to as School of Environmental and Biological Sciences—for over 40 years where he served as department chair and curriculum coordinator for the newly developed Human Ecology Department. He is best known for the research he conducted on the Miyanmin tribe in the Highlands of Papua New Guinea. He was among the first to use remote sensing satellite technology for field research funded by the National Science Foundation. He used the forerunners of GPS devices to investigate human and environmental change in Papua New Guinea. For more information on the Morris Museum and its location and hours visit their website.